← Long Live the Queen! Posted on August 10, 2012	by "BUGGING" YOU FROM FRIDAY HARBOR! Will it work? Surely something so simple would merely be anecdotal…an old “wives” tale perhaps? 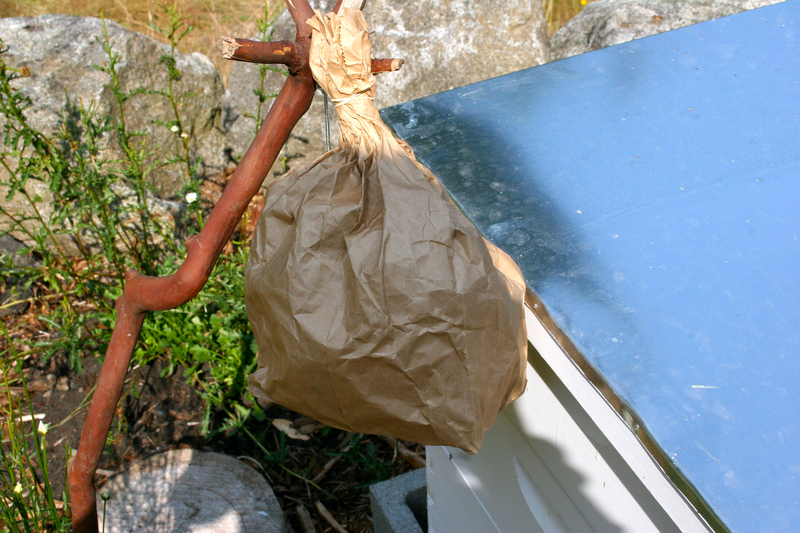 A brown paper bag to get rid of the yellow jackets visiting my beehive! Certainly I am skeptical, but after a week of trying out my $15 yellow jacket trap with the scientifically proven “attractant” that has attracted a grand total of SIX yellow jackets, what exactly would I have to lose by trying this out? So what do I do with the paper bag? Blow it up and hang it near the hive. That’s it. The reasoning is that it resembles another wasp nest and being “territorial” the yellowjackets decide their turf has been invaded and they go somewhere else. However, yellowjackets usually nest in the ground. 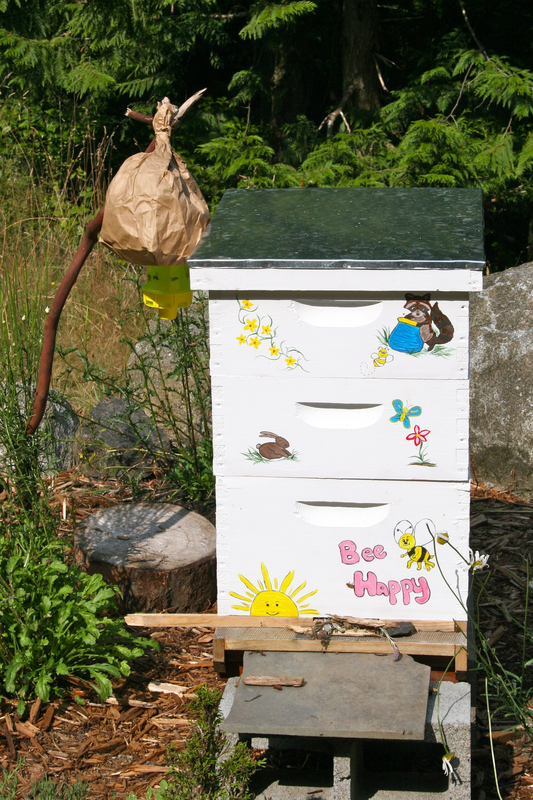 The paper bag soon-to-be-hanging next to my hive is more like the nest of bald-faced hornets. They build the football-shaped nest of paper that you usually see hanging in the tree looking like someone’s paper mache project. These aren’t even the same species, so from an entomology student’s perspective, how will this run off the yellow jackets? I don’t know if there are any studies out there that indicate bald-faced hornets prey on yellow jackets, but maybe this is worth a look or two. Who knows? I’m game to try. About "BUGGING" YOU FROM FRIDAY HARBOR!